Lynchburg-Clay 7th grade girls finished 1st in Division I with a record of 10-0. Pictured front row (l-r): Macy Etienne, Allison Rockey and Autumn Griffith. 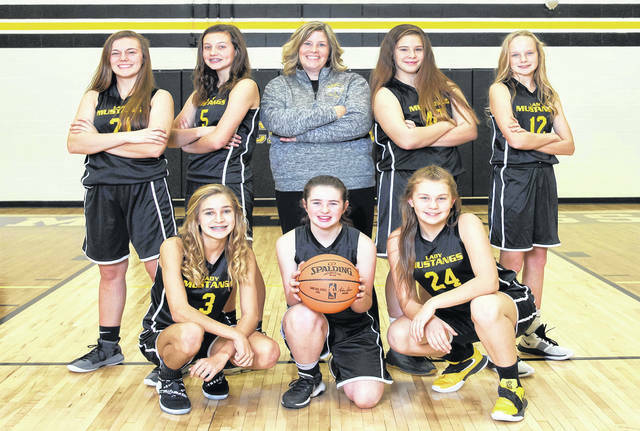 Pictured back row(l-r): Lainie Lunsford, Jade Massey, Coach Amy Snyder, Ella Barry and Addison West. Lynchburg-Clay 8th grade boys were 1st in Division I with a league record of 12-0. Pictured front row(l-r): Garrrett Reno, Trey Pitzer, Kaydon Fyffe, Landon West and Brady Chisman. 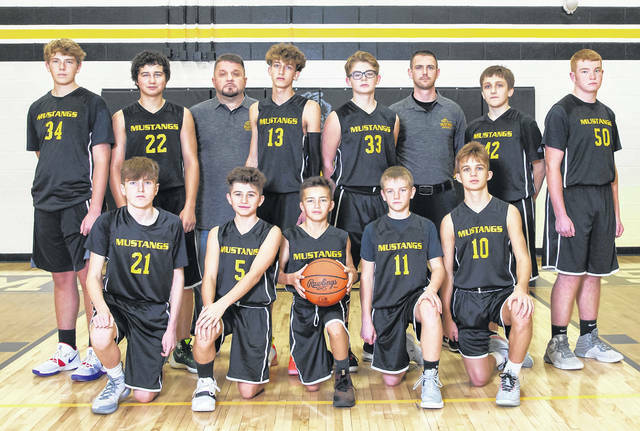 Pictured back row(l-r): Kyle Bennington, Aiden Connner, Asst Coach Vince Pitzer, Ian Waits, Logan Shope, Coach Andy Patton, Bryce Binkley and Jacob Allen.